Visual schedules can be invaluable for helping children to shift between and perform tasks and routines independently. However, there are a few tricks to making good visual schedules and effectively supporting your child to use them. Even if your child can read, be sure to include pictures in addition to written instructions. 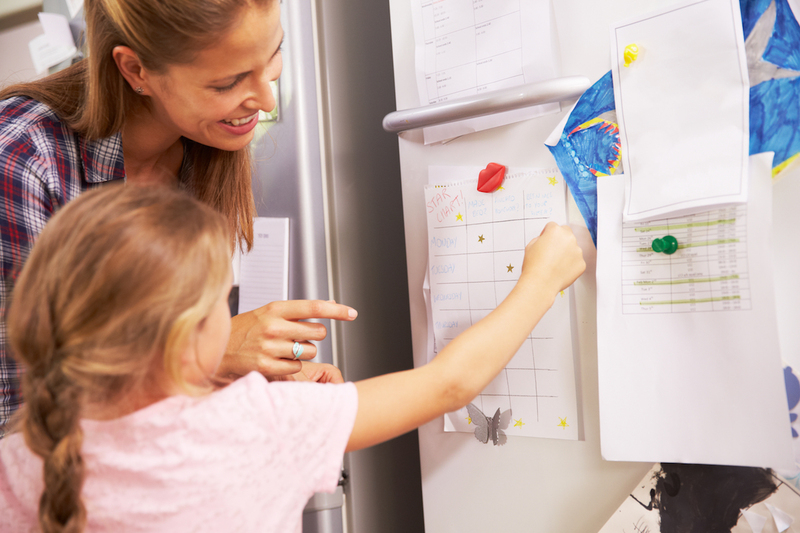 Your child will be able to refer to it at a glance, is more likely to visualise the next step in their mind, and won’t become as overwhelmed by following the schedule when they are tired. Design the schedule with a method for marking off each step as it is completed. This will increase your child’s focus, organisation skills, and sense of achievement. Some options include: − Designing the schedule with a blank circle next to each step. Give the child a marker to tick off each step as they go. − Attach each step with Velcro or Blu-Tack. The child can then remove each task when it is completed and place it in a “finished” box, jar or envelope. Be sure to use background colours or designs that will appeal to your child. For example, if they are in love with Frozen or Star Wars, use Google images or stickers to decorate the schedule to make it visually appealing. When you first introduce the schedule, your child will most likely require prompting to carry out the routine successfully. You may need to use verbal prompts for several days or even weeks. You may also need to physically walk with your child to guide them from one task to the next. When your child is beginning to understand the process of their visual schedule, reduce the amount of prompting you provide. This includes allowing them to move from one task to the next independently, providing less verbal support and by keeping some physical distance between you and your child. When your child carries out one step on their schedule independently, use positive reinforcement to encourage and reward the behaviour. Positive reinforcement may include enthusiastic verbal praise, a cuddle or high-five, or offering a small reward such as a sticker. As your child becomes increasing proficient at performing the steps independently, gradually reduce the reinforcement to simply praising them when they have completed the whole schedule. For more information about making and using visual schedules, call us on 9768 9990.